Med Pay coverage in North Carolina is a special type of “no fault” coverage that will pay your reasonable and necessary medical and funeral expenses up to the policy limits if you have been injured in a car accident. The most common amounts of Med Pay purchased in North Carolina are anywhere from $1,000 to $10,000. However, we recommend that our clients purchase as much of this coverage as possible, often up to $50,000 or $100,000. Generally speaking, it is the most inexpensive type of health insurance money can buy, and could be a lifesaver if you end up incurring significant medical bills as a result of your auto accident. If your medical bills exceed the amount of Med Pay you have, than you can still recover from either the at-fault driver’s liability insurance or your own uninsured motorist or underinsured motorist coverage (UM/UIM coverage). We talk more about Med Pay in our Ultimate Guide to Settling Your Car Accident Case Without Hiring a Lawyer. 1. If you have more than one insurance policy that has Med Pay coverage, then these coverages can be “stacked” to provide you with additional coverage. 2. Med Pay will pay the medical bills for any blood relatives in you household and any vehicles that are driven. 3. If you have Med Pay on your auto insurance, it will pay for your treatment and the treatment of your family members, regardless if they were a pedestrian or passenger that was involved in a car accident. Do You Have to Payback Med Pay from Your Settlement? One of the major benefits of Med Pay in North Carolina is that it does not need to be paid back to the insurance company when you settle your claim. This is different from the way that typical health insurance is treated. With traditional health insurance, Medicare, Medicaid, and other ERISA health plans, it is possible and even likely that the insurance company will seek a legal remedy called “subrogation” from the proceeds of your personal injury settlement. Here is an example that shows how this could affect your claim. 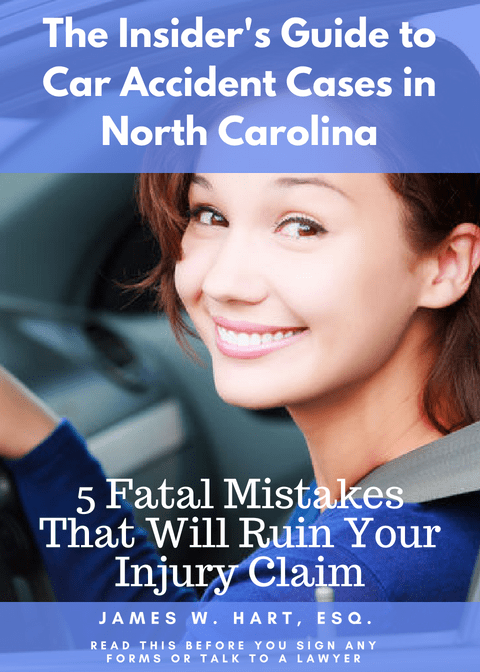 Lets say that you were injured in a car accident in North Carolina and your total medical expenses were $50,000. You were able to recover the policy limits from the at-fault driver of $100,000. You had $30,000 of underinsured motorist coverage on your own policy. As a result, the total available insurance coverage in your case was $130,000. You elected to keep the minimum amount of Med Pay coverage on your policy of $1,000. This means that only $1,000 of your medical expenses were covered by Med Pay, and the remaining $49,000 had to be taken out of your settlement. As a result, your net settlement is $81,000. Had you updated your coverages, and elected a higher Med Pay amount, you could have saved yourself almost $50,000. This is one of the reasons that we recommend that our clients purchase as much auto insurance as they possibly can. How Do You Apply for Med Pay Coverage in North Carolina? Applying for Med Pay should be, in theory, a relatively painless process. You likely will not need a lawyer to access this coverage. The procedure involves opening a claim with your insurance policy, then obtaining a copy of your crash report and sending it to your carrier, along with any medical bills you have incurred. We say “in theory” because nothing is every truly “easy” with insurance companies. If they can stall and delay in paying out claims, they certainly will. If you have problems getting your insurance company to pay these bills, there are strategies that can be used to force payment, up to and including filing a bad faith lawsuit against them. What does Stacking Med Pay Mean? If you are injured in an accident and have $7,500 worth of medical bills, but only $5,000 in Med Pay, are you required to pay the additional $2,500 out of your own pocket? No – you could always submit those bills to your own insurance company. But is there another way? Let’s say you have an adult child who lives with you and they have their own insurance policy with $5,000 of Med Pay coverage. You have the option of submitting the extra $2,500 of bills to your adult child’s insurance company and they would pay the difference. Unfortunately, you are not entitled to anything more than the reasonable and necessary amount of expenses you have incurred. So you will not receive a $2,500 windfall from your adult child’s insurance company. However, if your total bills were $10,000, you could recover $5,000 from your insurance company and an additional $5,000 from your adult child’s insurance company to pay those bills.